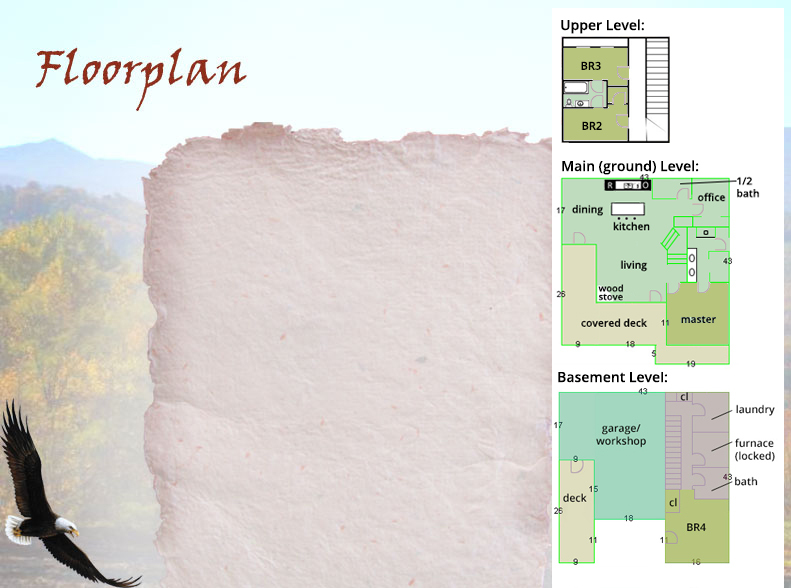 Affordable luxury cabin in Blue Ridge Mountains NC near Boone - your new mountain rental! 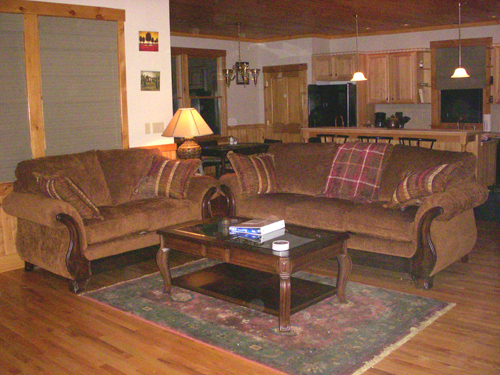 Living Room: 42" flat screen HDTV w/ DirecTV, DVD, movies, comfy furniture, wood burning stove, beautiful mountain views, WiFi. Click here for photo. 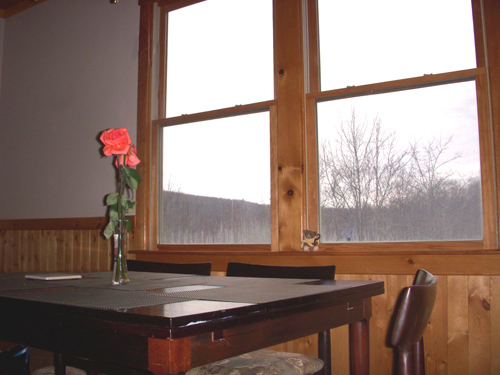 Dining Room: Seats 4, most facing mountain views. Click here for photo. 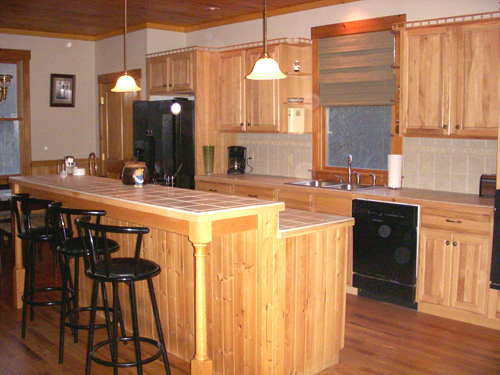 Kitchen: Smooth surface cooktop, wall oven, microwave, fridge with icemaker/water filter, seating for 3 more at bar. Click here for photo. 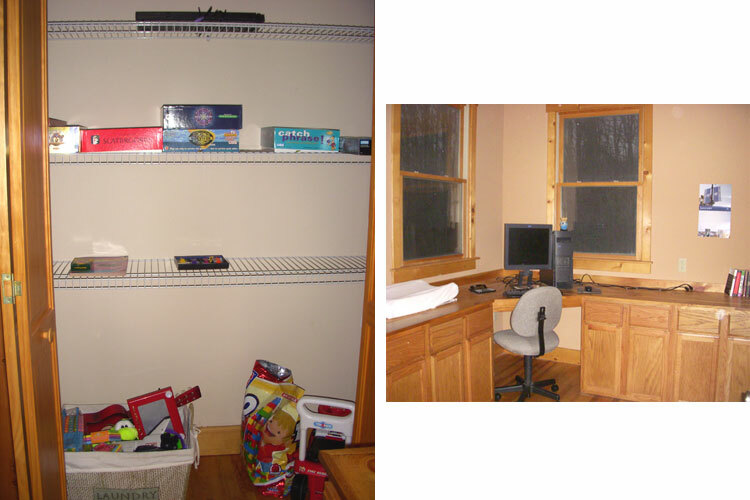 Game Room/Office: Board games, toys, baby items. Click here for photo. 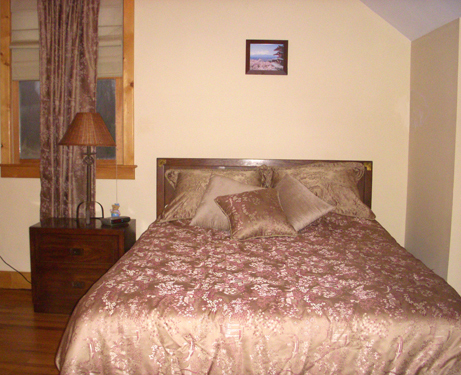 Master Bedroom: Double pillowtop king bed, luxury bedding, dresser & mirror, two nightstands, lamps, ceiling fan. Click here for photo. Master Bathroom: Spa Shower! 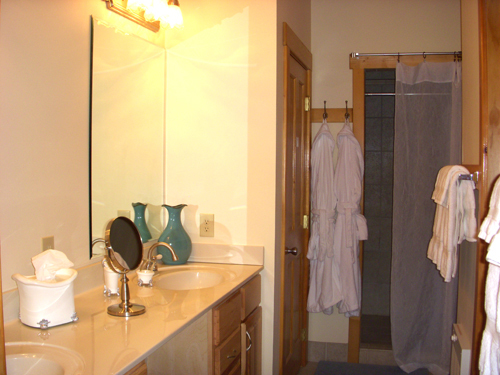 Dual shower heads w/ sprayers, his/hers bath robes, extra heat, double vanity with stool & makeup mirror, private water closet, walk-in closet/dressing area with iron, ironing board and pack and play, Egyptian cotton towels. Click here for photo. "Fuji Room": Mt. 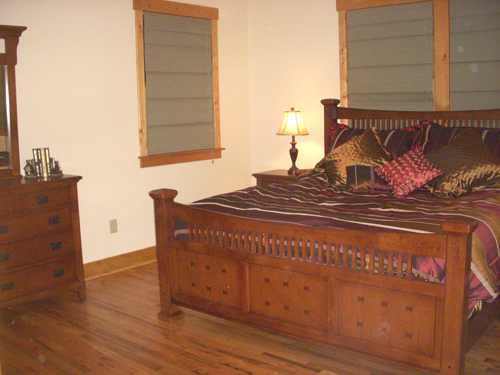 Fuji/Asian theme, queen bed, 30" TV with DirecTV, walk-in closet, ceiling fan, full futon in sitting area. Click here for photo. 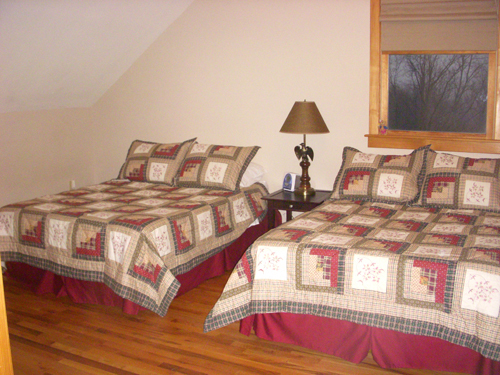 "Camp Eagle": Two full beds, TV with DVD, kids' movies in library, space for air mattress, ceiling fan. Click here for photo. Shared upstairs bathroom: Egyptian cotton towels, bath tub/shower combo. Click here for photo. 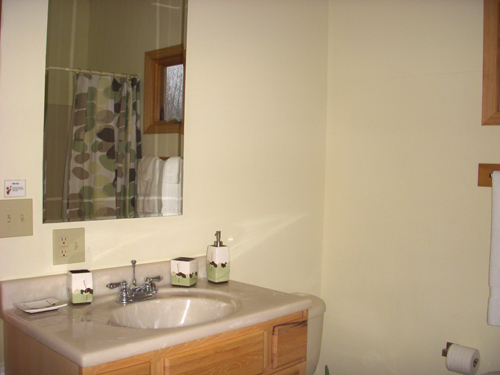 Basement/4th BR: Garage, full laundry room with sink, BR with queen raised air mattress, private bath, deck.